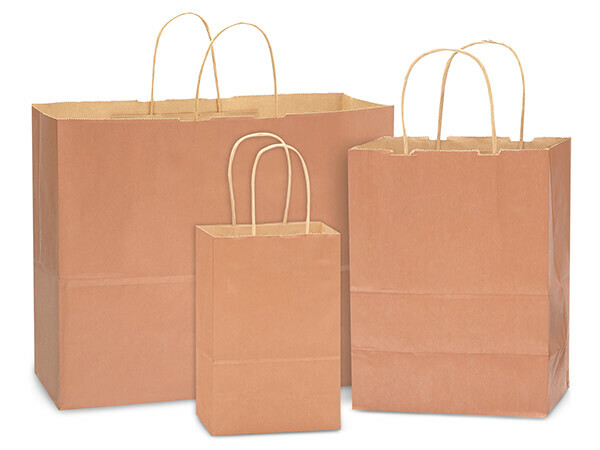 Metallic Copper Kraft Paper Shopping Bag Assortment includes 125 Bags Total - 50 Rose, 50 Cub, and 25 Vogue. Green Way® Eco-Friendly Packaging is made in the USA. Call our Custom Print Dept. to personalize your shopping bags with a store name or logo at 1-800-547-9727 ext. 4.